In the third and final segment of our body & facial expression webinar series, we will talk about how to automate the analysis of facial responses to understand your user’s emotions. Facial analysis is one of the least intrusive methods for capturing real-time emotional reactions in a highly automated manner. These systems use computer algorithms that take video from a common webcam and provide frame-by-frame emotion metrics as outputs. Current methods for collecting emotional responses often requires a participant to constantly verbalize their thoughts and feelings. This approach is unnatural, and may yield unreliable results. 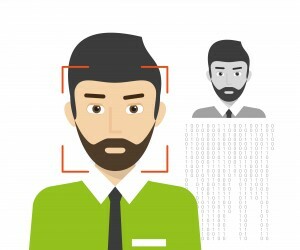 Facial metrics can be captured in the background as a participant performs a series of tasks while evaluating a website. The software can automatically pinpoint when a person is feeling certain emotions and can be tied directly to what they are doing. Join our Director/Principal Researcher, Andrew Schall, and CEO of Kairos, Brian Brackeen, to learn about the latest tools and methods used to analyze facial expressions as well as understand the opportunities and limitations of using this technology in user research.